Conveniently located one hour north of the Greater Toronto Area with direct access off highway 400 in Barrie, Ontario. Horseshoe Resort is the place to plan your next special event, meeting or conference with over 16,000 sq.ft of newly renovated conference space and 100 newly renovated, hotel-style guestrooms & suites. From picture-perfect weddings, seamless social events to company retreats, we offer ideal venues for groups of 10 to 250 people – including 10 meeting rooms and 3 banquet halls – in a natural setting that offers an endless array of outdoor, custom teambuilding and adventure options. Please contact us for our complete terms & services. 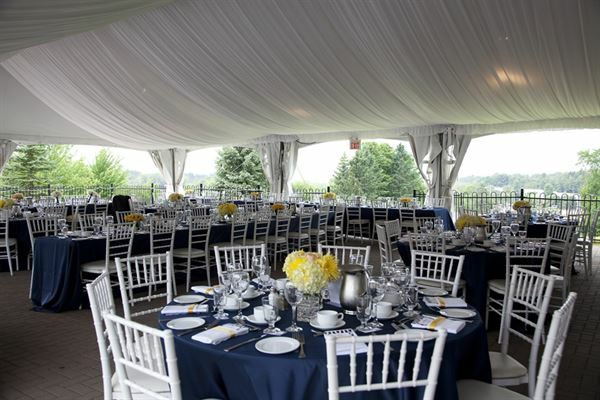 Lionhead Golf and Conference Centre beautifully landscaped grounds incorporate the natural beauty of meadows, wetlands, forests and natural foliage on 520 acres of land. Beautiful location for weddings, parties, and corporate functions. We offer multiple rooms for every group size and type of event. Each room is unique in style. Our featured Aberdeen Terrace hosts full wall and ceiling windows, giving you the full beauty and view of the golf course no matter the time of year. Our larger banquet room Muirfield/Edinburgh Room can host larger groups up to 400ppl including head table staging and dance floor. This room feature beautiful chandeliers and ceiling lighting to add to the evening portion of your event. In the off season we convert our Iggys Restaurant into a urban banquet space for holiday events for groups of up to 100ppl. At Lionhead we offer specialized menus to suit your food and beverage preferences and budget. Plated meals, buffets and reception style events are just the start of what our Chef's can put together to ensure a memorable culinary experience. The Lincoln Alexander Centre offers a wide range of options for corporate events of all types and conventions. Located in the heart of Hamilton, Ontario, the LAC boasts a diverse range of innovative spaces including a 360-seat state of the art Theatre, Banquet Hall, Board Room, Meeting Spaces and a Cocktail Lounge. Our 22,000 square foot facility is located adjacent to the Crowne Plaza Hamilton and offers unmatched service, comfort and meeting capabilities. Beginning with our professional sales team, guaranteed response times and state-of-the-art audiovisual and lighting, the Lincoln Alexander Centre will exceed your expectations for a conference or convention centre in Hamilton. Whether you are planning a seminar, workshop, product launch, tech convention & event, grand gala, fundraising event or corporate get-together, the LAC’s facilities and professional staff will exceed your every requirement and expectation. We look forward to answering any questions that you may have and to partnering with you on your next event.